The recently published ranking is based on four patent-related metrics: the total number of patents, the number of patents granted as a ratio of patents filed, the global scope of the portfolio of patents, and the impact of patents measured by the number of references. "This acknowledgement of the quantity, quality and impact of our patents is recognition of the priority Saint-Gobain places on innovation and R&D. It rewards the expertise and commitment shown by our teams around the world. It also illustrates our determination to constantly bring new and differentiated solutions to our customers; solutions that answer the societal issues of comfort and wellbeing, of responsible and sustained commitment, and of productivity and performance." said Pierre-André de Chalendar, Chairman and Chief Executive Officer of the Saint-Gobain group. 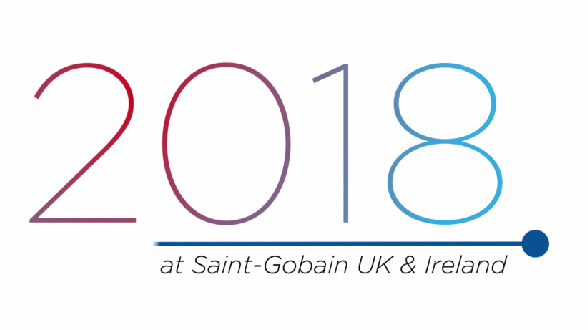 R&D at Saint-Gobain is supported by 3,700 employees, a global network of eight cross-business research centers and numerous dedicated R&D units for a total investment of €446 million in 2017. With close to 900 R&D projects in progress, Saint-Gobain has a pool of innovations that allows it to launch numerous new products every year. One out of four products sold today by the Group did not exist five years ago. In total, approximately 400 patents are developed each year by the Group, thus reinforcing its N° 1 position in the markets, in which it operates. Find out what we got up to in 2018!